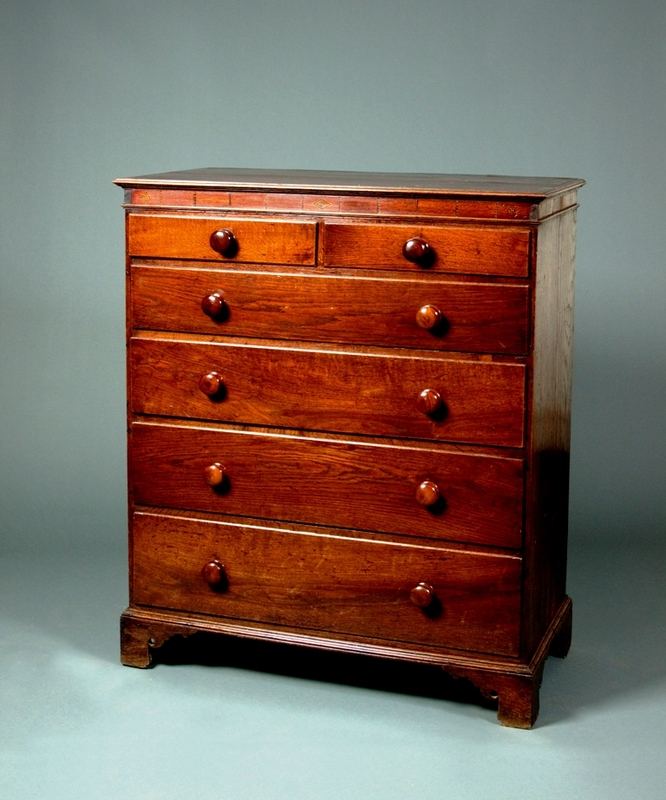 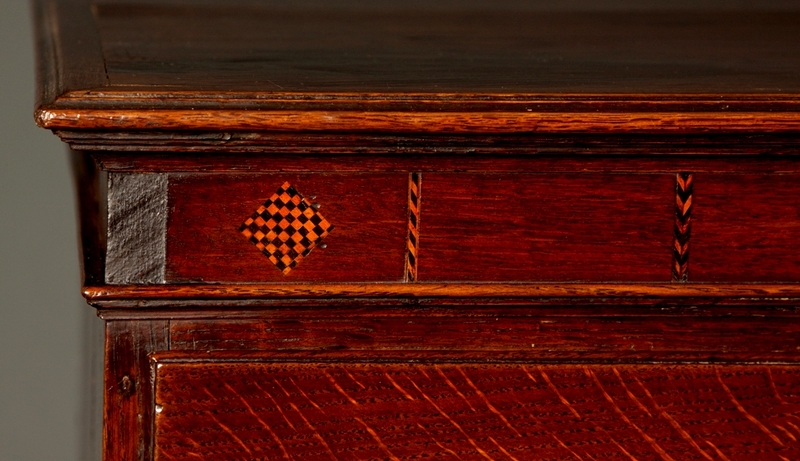 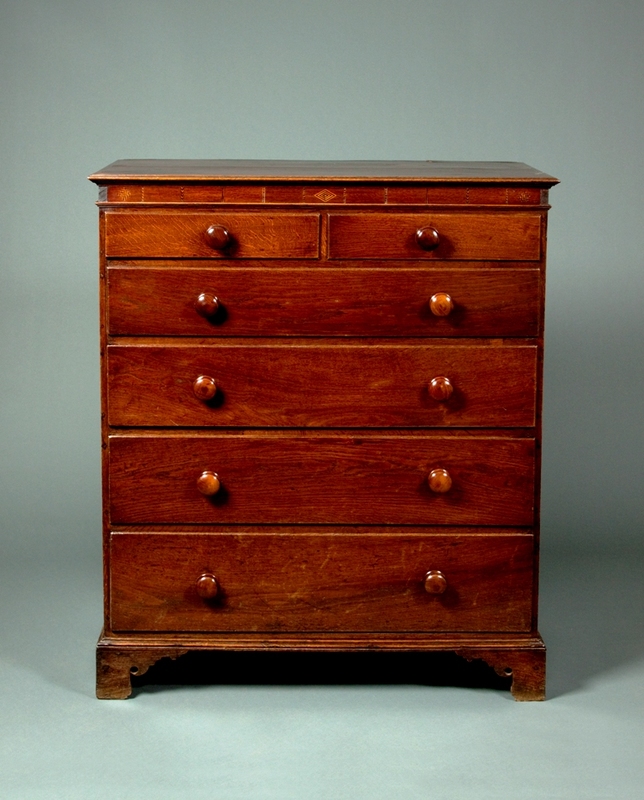 A generous Carmarthenshire oak chest of drawers. 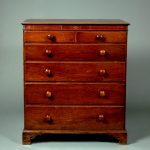 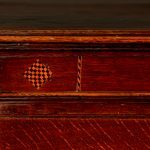 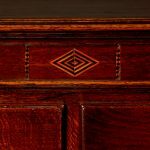 The chest has a wonderful rich colour and also has a mahogany frieze which is inlaid with bog-oak and holly and is raised on shaped bracket feet. 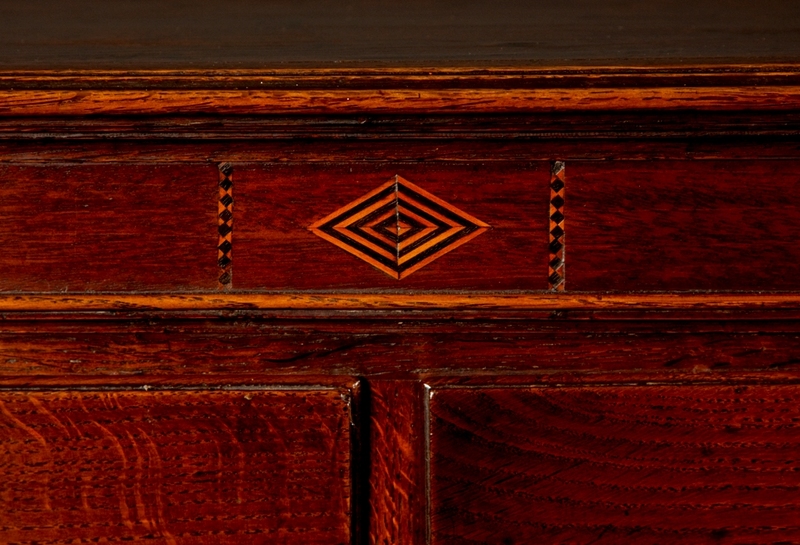 Towy Valley, Carmarthenshire circa 1820.